BELOW are some of my favourite formulas that I've come across; I've hundreds but don't worry as I won't bore you with them all. E = mc2 It wouldn't be right not to mention Einstein's famous equation relating mass to energy, but to be honest it's not my favourite. 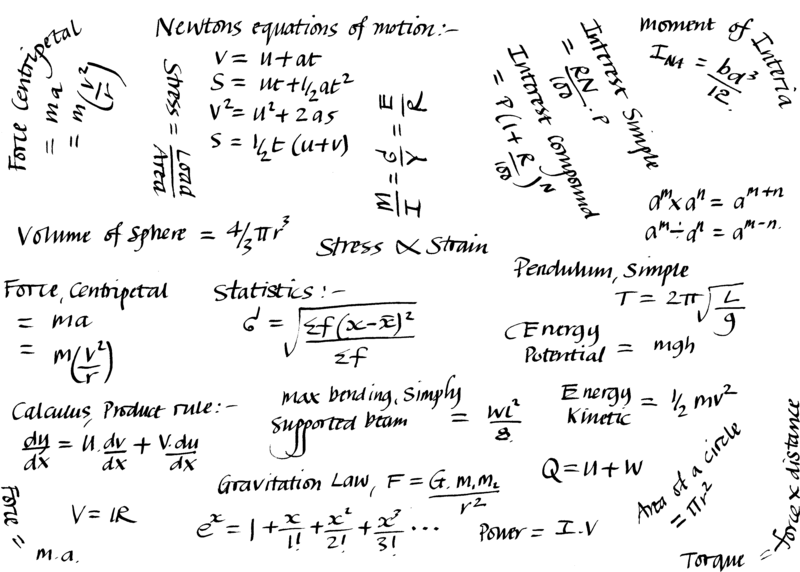 If you want to hear Einstein expaining about this equation, go to this link. F = ma This is Newton's famous second law of motion relating Force to Mass and Acceleration and one of my favourite.